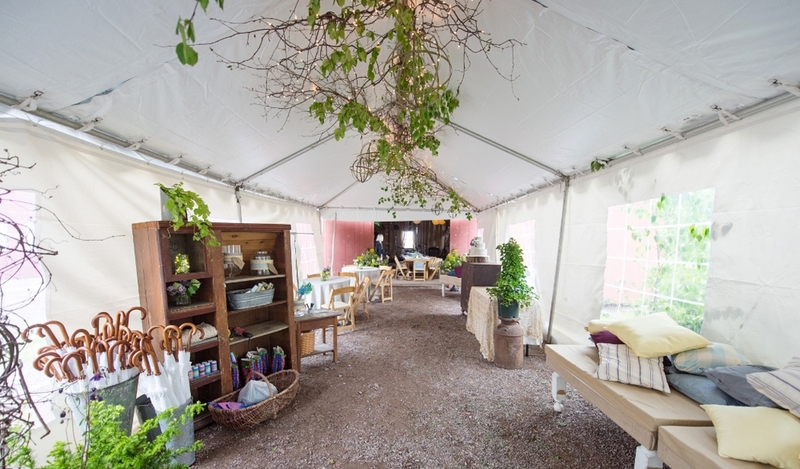 The Traditional frame tent is built with a structural aluminum frame and joined by steel fittings that are used to support the vinyl fabric roof. The rigid framework allows the tent to be free standing with no interior poles required to support the vinyl fabric roof. Frame tents come in standard 10', 15', 20', 30', and 40' widths - starting as a square space and being expandable in 10' sections. Frame tents can be used for any type of event are especially versatile in tight spaces or on asphalt surfaced where staking is not allowed.